Trainer Vijay Singh`s 3/1 shot, Splash Proof (Suraj Narredu-up) had an easy measure of a fancied James McKeown runner, Aggregated (app. 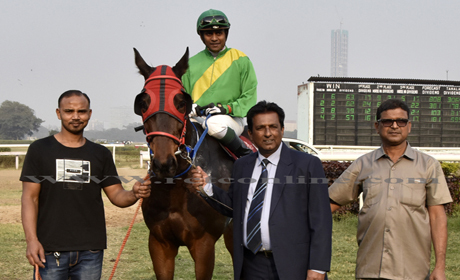 P. Vikram), in the 2,000m Race Club Cup, Thursday`s feature event. 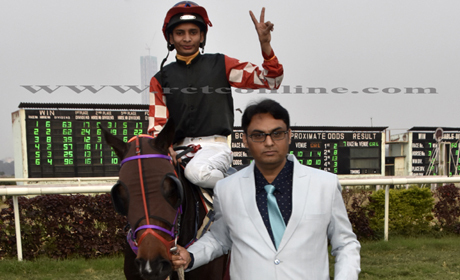 Vijay`s Multiple (Nikhil Naidu), too, was in the winners` enclosure, helping the champion trainer strike a good double. However, it was trainer Shafiq Khan who stole the limelight in the afternoon`s seven card, notching up a priced treble. In the feature event, Suraj trapped an inexperienced apprentice Pandula Vikram in the matter of pace-judgment. 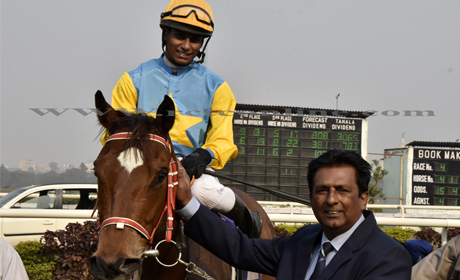 Allowing Vikram`s charge, Aggreated, shoot into a two-length lead, which the champion jockey neutralised in the final furlong of the race to score comfortably. Multiple, on the other hand, was hard-pressed to win the 1,100m Aladancer Handicap. 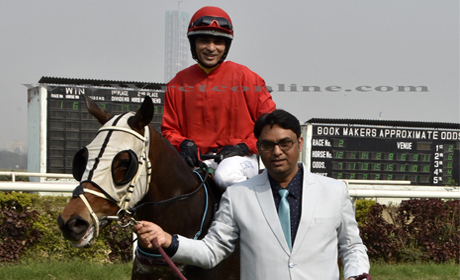 With speedy Stunner in charge of the early running, Multiple was always in the striking position but in the last furlong it was Javed Khan-trained Malana (Vikram) who covered much ground to nearly stumped the Vijay`s ward. 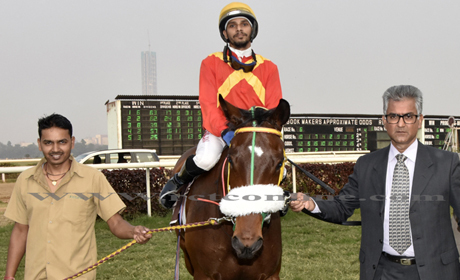 Vijay had fairly good chance of landing the 1,200m Acorn Stakes with his two in-a-row prized filly, Angel Grace (Suraj), as his two potential opponents the stablemate, Valeria (A. Sandesh) and Bharath Singh`s Tia Queen (Vikram) were withdrawn at the start. Angel Grace nearly pulled it off After chasing Astoria till 200m from home but a late surge of Bharath`s 10/1 outsider, Fancourt (Vinay Jaiswal), who was enjoying 6-kg pull at the weights, proved quite effective. The rest of the card was dominated by Khan-brother. 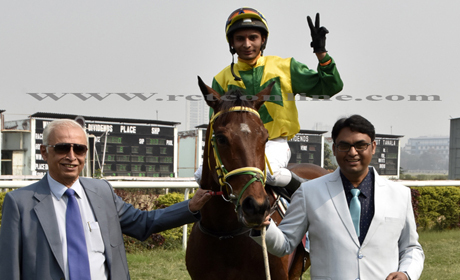 It was Shafiq who enjoyed the lion`s share of three while brother, Sarfraz, bageed the opening event, the 1,100m Ramkirpal Handicap which was claimed by Archivolt (app. Rupal Singh). The most notable among Shafiq three winners 6/1 Bang Bang (c. Alford), 5/1 Airlift (Naidu) and 7/1 Mustag (Rupal) – was the last named horse whose was a great effort in view of his fourth win in-a-row during current season. 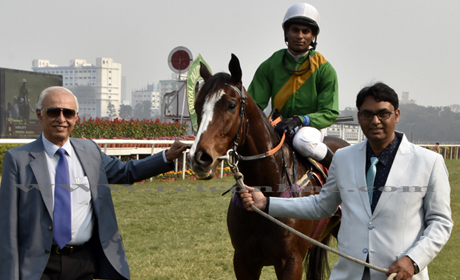 The victory complimented the trainer as Mustang also stakes a strong claim for the horse of the season award.